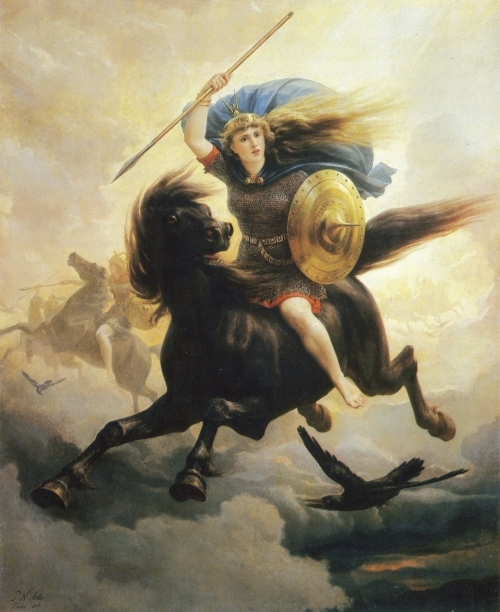 Valkyries were minor female deities, descended from Germanic mythology, who served Odin, the chief god. They were charged with finding the most heroic warriors at the moment of their death and carrying them off to Odin so that they could fight alongside him in the battle at the end of the world. Also Odin’s messengers, the Valkyries appear as beautiful women equipped with helmets and spears and riding winged horses.